Since 2003, Aspen has provided ongoing environmental support to the USACE for the Murrieta Creek Flood Control, Environmental Restoration, and Recreation Project. The project involves major flood control improvements to over seven miles of channel on Murrieta Creek between the cities of Temecula and Murrieta. 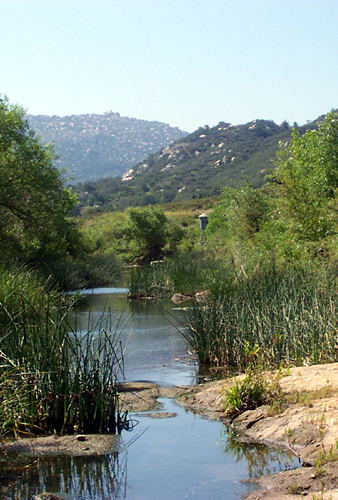 These flood control activities include expanding the existing channel to provide flood protection to areas susceptible to 100-year floods, to reduce costs associated with participation in the National Flood Insurance Program, and to restore and enhance the ecological resources associated with Murrieta Creek. This project would also provide much-needed recreation opportunities for the cities of Murrieta and Temecula. Aspen initially prepared a Supplemental Environmental Assessment and EIR Addendum (SEA/EIR Addendum) for design modifications to the original Phase I project. This included analyzing potential impacts from various design features such as replacing rock gabions with rock riprap and creating a continuous unmaintained vegetated corridor to provide on-site mitigation opportunities. As part of this process, Aspen conducted extensive biological surveys of the project area to update baseline conditions; completed an Air Quality Data Analysis and Conformity Determination; prepared the Clean Water Act Section 401 and 402 permit application and notification, completed the Section 404(b)(1) evaluation, and prepared a comprehensive Mitigation Monitoring Plan to mitigate project impacts to riparian and wetland vegetation. Aspen also updated the hydrogeomorphic (HGM) analysis that was provided in the Final EIS/EIR and prepared a revised HGM for Phase I development activities. Aspen worked closely with the USACE’s project development team throughout the implementation of Phase I of the project. This included direct coordination between the engineering and environmental teams to develop retention basin features, minimize mitigation costs, and maintain natural habitat features in conformance with State and federal permits without compromising the flood capacity of the project. Some of the tasks Aspen completed include biological and construction monitoring of the project, the implementation and monitoring of restoration activities, annual surveys for rare plants and sensitive birds, pre-construction surveys for sensitive plants and wildlife, and annual water quality monitoring.